This package will take you to the next level. All of the skis offered in this package have been hand selected by Matt Liebsch straight from the distribution facilities. These skis are lighter and faster than anything else out there. 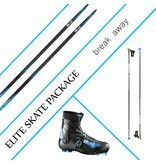 The Salomon S/Lab Carbon Skate weighs in at 1.06 lbs per ski (191cm). 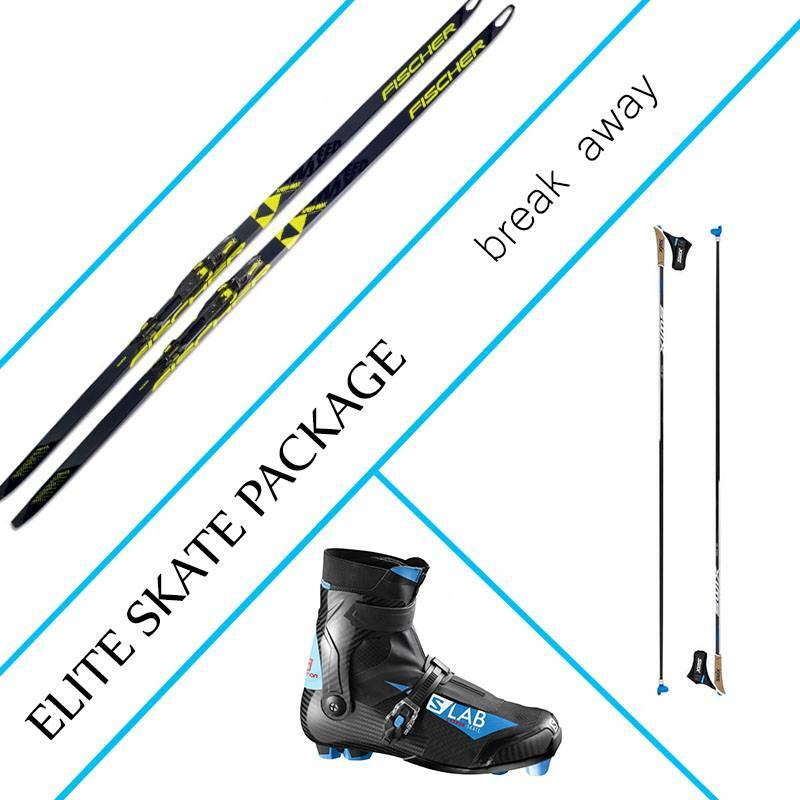 This is a 24% weight reduction over their mid-level ski, RS Skate. S/Lab Carbon Skate boots are the lightest and stiffest boots on the market. We think that they are the best fitting boots on the market as well. Boasting an impressive weight of 1.12 lbs per boot(size 44), these boots will make you forget that you even have boots on your feet. This is all made possible by the one-piece carbon monocoque shell. They also feature a thermo moldable liner that allows for a perfect fit for your foot. Swix Triacs are indisputably the best poles that you can get. With a stiffness of 23mm and shaft weight of 56 g/m, these poles will follow your every movement and effortlessly transfer all of your energy directly into the ground. The T.C.S. reduced weight even further by reducing the length of the handle by 2 cm. The 3.0s feature the T.B.S. that allows you to dial in the perfect basket for the day, whether its the carbon claw for an icy track, or the roller ferrules for summer training. Don't forget how nice they look in contrast to the snow, too.